Mushroom cultivation is now considered both socially and commercially significant plant ever have discovered and is widely distributed in the ind-pacific region including Bangladesh. Now mushroom is getting converted as a product. 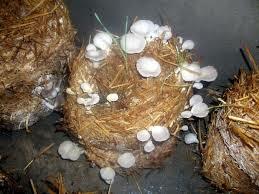 There are many manufacturing companies involved with mushroom cultivation. But in Bangladesh we are facing some problems in producing Mushroom such as, lack of efficient HR and awareness of people. Above all, by overcoming all these problems and proper investment, mushroom cultivation may have a brighter prospect in Bangladesh. Our main social responsibility is that we want to remove malnutrition from our country and for this after expending our business we will take a plantation project to plant tree on road side.